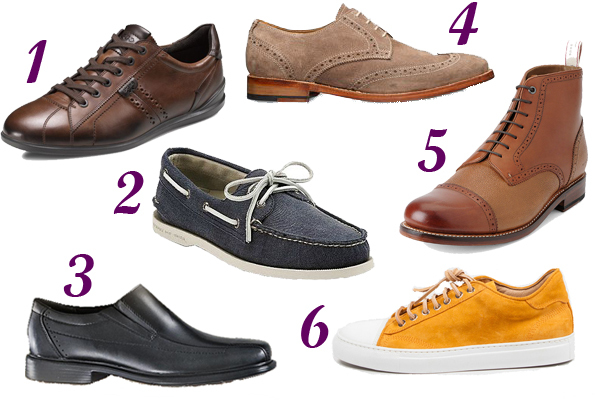 A recent piece by The Star reports that sales of men's footwear increased by 13 per cent in Canada in 2012. In comparison, women's sales grew only by 3 per cent, meaning our metrosexuals males have more retail power than we originally thought. More than any other retailer, Sears has seen the most growth in their footwear department since pairing with Aldo and Buffalo International to shed their dowdy image. "Where a man would normally own three to five pairs of shoes, that same generation may now own 10 to 15 pairs of shoes," Patrick Dillon, vice-president of footwear for Sears, told The Star. Their most popular sellers? Sneakers (with coloured soles) and tan brogues. 1. Ecco Cognac Sport Shoe. 2. S-Perry Top Spider Boat Shoe from The Bay. 3. Clark's Men Leather Dress Shoe from Sears. 4. Tiger of Sweden Frank Shoe (new store location opening at 56 Ossington Avenue, Toronto on April 10th). 5. Rag & Bon Wesley Boot available at Uncle Otis (26 Bellair, Toronto).